Tax Tips for the Self-Employed "
As Self-Employed individual I know you’re in business for yourself so you can run your own show and being your own boss. You’re also following all the regulations required of a business owner, which means paying your own business income taxes. As an Accountant Miami I’m very aware that the self-employed have unique tax concerns. Larger companies hire Accountant Miami firms or in-house accountants to maintain records of all income and expenses. As a Self-Employed individual, it’s up to you to keep very good records, save all receipts, and be able to support your deductions.Fortunately, there’s help. Invest in a good accounting system like QuickBooks and get excellent QuickBooks Support Miami to help. “Whether you have a separate office facility or are using one room in your house, you can deduct the percentage of your home used exclusively for business purposes”, states Viera a Accountant Miami . This goes for utilities as well, such as your phone and Internet connections. If you have a phone line used exclusively for business, you can completely deduct those phone bills. Have your accountants review the list with you. How many times have you heard that accountants want their clients to keep all receipts? Save all of your receipts and maintain good records of business travel and other expenses, including office supplies, postage and shipping costs, dues, subscriptions, and anything else business related, such as computer equipment and software for your business and upgrades to your system.To keep business expenses organized, create a simple filing system for receipts, and try not to let a year go by before you do the filing. It also helps to note what each receipt is for states Viera a Accountant Miami. You have two options for how you take this deduction, Self-Employed choose the best option. The first is to total the mileage and add in the tolls and parking to calculate your deduction. Once you have your mileage total, multiply it by the IRS-approved rate for mileage deduction. The other method is to measure your business usage against your personal driving and deduct that portion of your auto-related expenses, including gas, repairs, and insurance, lease or loan payments, and depreciation.If your company’s office is at your house, you can deduct all business-related mileage from the time you leave your home until you return home. If your business is not home-based, start recording your mileage and expenses from your first business-related destination and continue to your last. Consider setting up a Self-Employed qualified retirement plan (i.e., SEP-IRA) both for tax purposes and to save money for your retirement years. SEP-IRA are generic retirement plans that allow you to contribute and deduct up to 20 percent of Self-Employed income (25 percent of salary if you’re an employee of your own corporation) states Viera a Accountant Miami. They’re easy to set up with a bank, brokerage firm, or insurance company.You can also opt for a Keogh plan, which allows you to put away more into tax-deferred savings for your retirement. Keogh plans are the self-employed equivalent of corporate retirement programs. There are two types: profit-sharing plans and defined benefit pension plans. 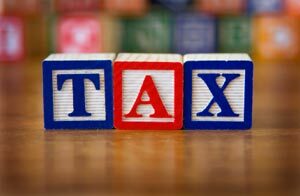 The plan must be established before year’s end for you to get a deduction for the current tax year. Employing family members can help you save on taxes. That’s because you’re allowed to deduct medical expenses for members of your family if you employ them legitimately and you own your business. In this case the Self-Employed have an advantage over other taxpayers, who can generally only deduct health care costs that exceed 10 percent of their taxable income. If your business is home-based, the IRS allows you to write off your nonreimbursed health costs and those of your immediate family. If you believe that you’re heading into a higher tax bracket, you are, as a Self-Employed person, permitted to defer your income by shifting your billing. Accountant Miami recommends keeping track of your income carefully throughout the year; you can save a substantial amount of money at tax time by making the appropriate changes to keep your income in a lower tax bracket.You should consider consulting with an accountant if you don’t fully understand the process. The bad news: Because you’re Self-Employed, you pay both the employer and employee portions of Social Security tax. The good news, from (believe it or not) the IRS is: “You can deduct half of your self-employment tax in figuring your adjusted gross income. This deduction only affects your income tax. It does not affect either your net earnings from self-employment or your self-employment tax.”Remember, you’re solely responsible for paying your income tax — set aside enough funds so that you aren’t caught short when tax time rolls around. Get professional help with your taxes from Accountant Miami who are familiar with the ins and outs of self-employment, because your needs will differ from those of a company. You’re responsible for paying income tax on your earnings and will most likely need the help of an accountant.And again, don’t neglect your records. Because self-employed people can claim special tax reliefs and allowances, it’s important that you keep accurate and detailed records of all of your business transactions.